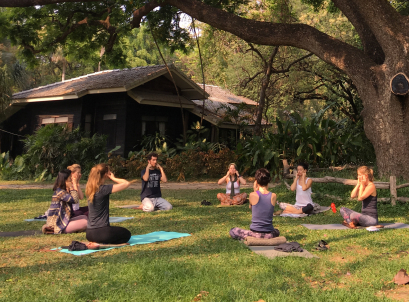 Tribe has been organically evolving its yoga teacher training course for many years and is renowned for its relaxed and easy-going atmosphere enjoyed on all of our yoga events, which are a feast of integral yoga practices and life-changing experiences. Tribes approach is one of openness, connection, acceptance, sensitivity, awareness, and love, creating special and unique journeys of self-study, personal development, and spiritual evolution. 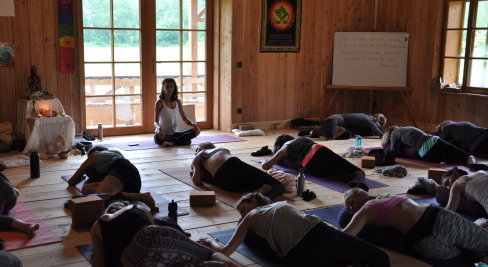 Our dedicated and passionate teachers have been supporting individuals to integrate yoga into their lives on yoga retreats and yoga teacher training courses since 2008. The teachers are what make Tribe such a special place to study and practice yoga. All of Tribe’s teaching team have chosen to fully embrace yogic lifestyles, living from the heart, following their own truths and aligning themselves with Universal Truth. We deliver authentic spiritual teachings that bring ancient wisdom into a relevant and digestible format. Expect to be challenged, stimulated, awakened and inspired in a supportive atmosphere that encourages you to relax, enjoy, re-energize and have fun.